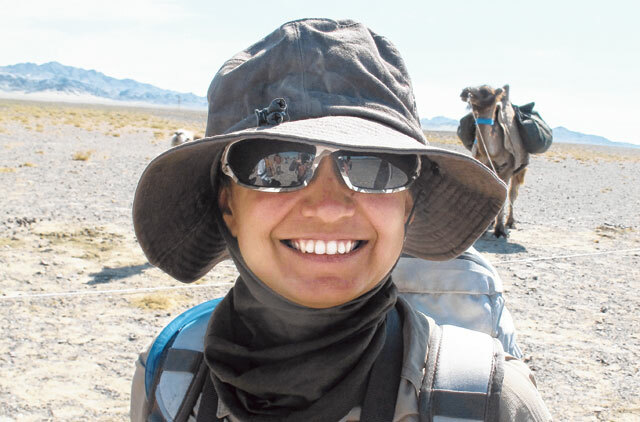 Mumbai: The mental challenge of overcoming the Gobi Desert's monotonous landscape was the biggest challenge for Sucheta Kadethankar who became the first Indian woman to cross Asia's largest desert. "There was no visual appetite of changing scenes that the mountains offer, no external factors to motivate me, and I had to therefore find my own ways of self-motivation to complete this expedition," Kadethankar, 33, told Gulf News on telephone from her residence in Pune. A lead information developer at IT firm Symantec, Kadethankar confessed the 1,600km trek tested her physical endurance but it was the monotony of the unending expanse of sand that had to be conquered. The non-stop two-month trek, Gobi Crossing 2011, conducted by Ireland-based Explore Foundation, sought to introduce young people to the Mongolian wilderness. Sucheta was among seven members of the 13-member expedition who completed the trek. Her trek was not without its setbacks as she was down with flu for a couple of days. Another painful episode was when she received an unexpected kick from a camel. What lifted the spirits of the expedition team was the sight of nomads in their homes, "which we came across once in four or five days".